At Whispering Brook, life is lived at the Time of the Land: in accordance with each season, and in harmony with the cycles of nature. Modern and traditional knowledge combine with respect for nature, reflected in experiences that extend to all Whispering Brook's wine and olive tourism activities. Be part of this cycle. Experience a day in the life of a viticulturist, winemaker and olive producer. Our walking tours into the vineyard, olive grove and winery uncover what happens behind the scenes. An educational tasting in the cellar door reveals the secrets of the makers. Linger with a glass of artisan wine and olives on the verandah, or in front of the fire with a light lunch. Tours available each Friday to Sunday between 10:30am – 3:30pm at a cost of $10pp. Bookings are essential. Discover the behind the scenes ‘day in the life of a viticulturist and winemaker’. 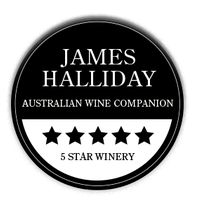 Immerse yourself in one of the excellent recent vintages in the Hunter Valley with a spectacular wine flight tasting of our 2016 vintage. Served in Riedel glasses accompanied by tasting notes and 3 artisan cheeses. Tours available each Friday to Sunday 10:30am – 3:30pm at a cost of $25pp. Allow 1.5 hours for this experience. Bookings are essential. Explore Whispering Brook’s handcrafted olive oils and olives. This delicious experience is a must for dedicated foodies. Learn about olive cultivation, harvest, and our artisan methods of olive and olive oil production at our estate. Immerse yourself in a guided tasting of our estate’s fresh oils and olives. Available each Friday to Sunday 10:30am – 3:30pm at a cost of $20pp. Allow 1.5 hours for this experience. Bookings are essential. *How many people would you like to book for? *What date would you like to book for your tour?